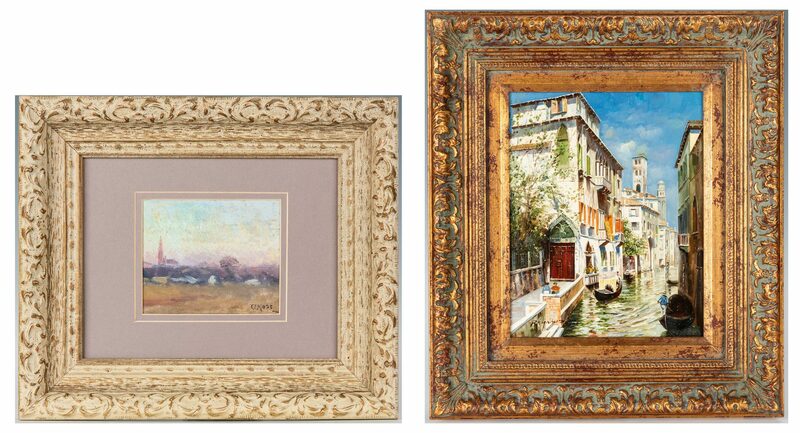 Two (2) oil on panel paintings depicting scenic locations, including Charles E. Moss. 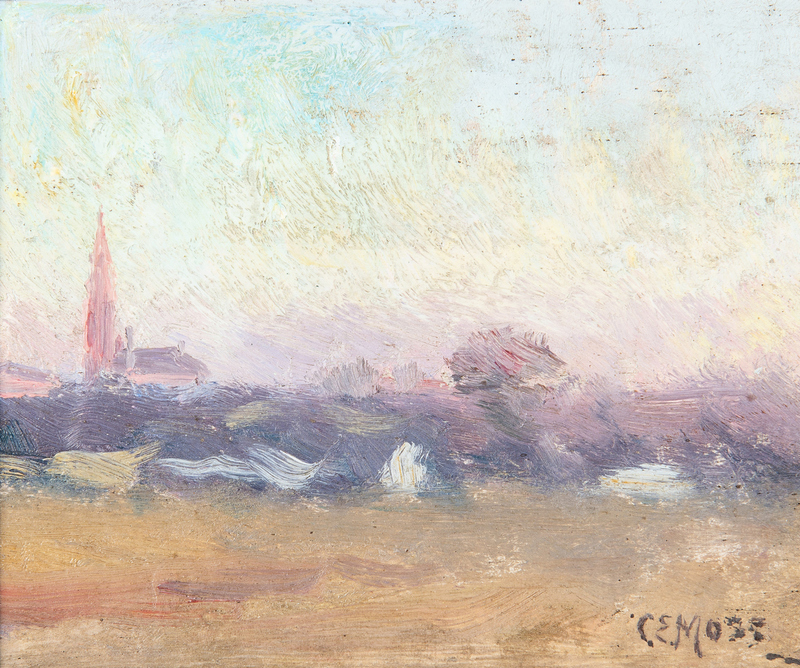 1st item: Charles Eugene Moss (New York/Ohio/Canada, 1860-1901 or 1910) oil on panel impressionistic landscape painting depicting an early morning view of a field, the bell tower of a church visible in the background. 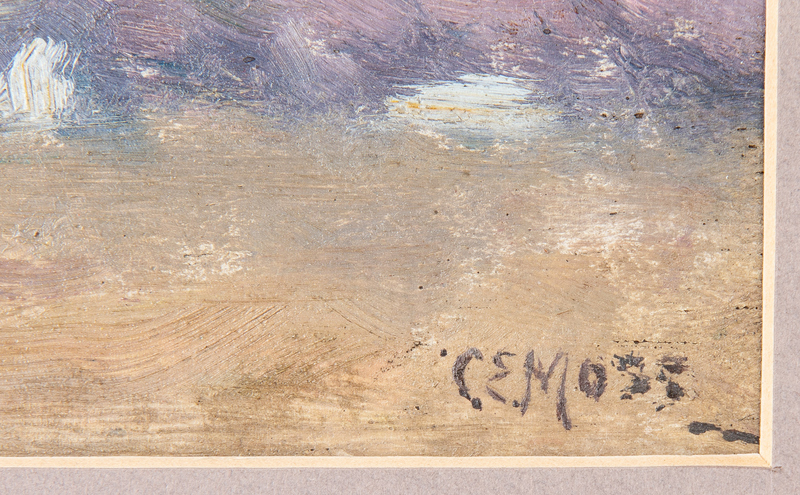 Signed "CE MOSS" lower right. 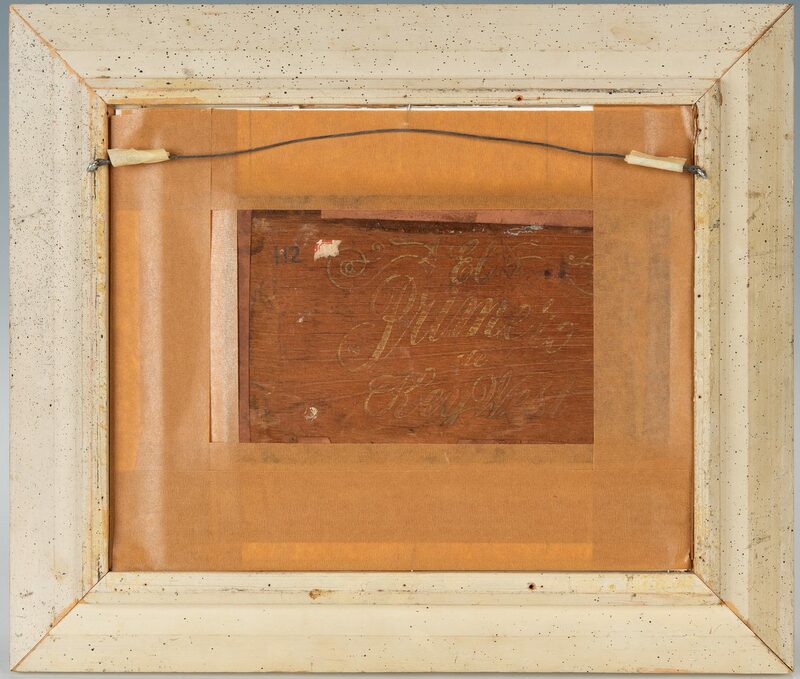 Double matted and housed in a modeled off white painted frame. 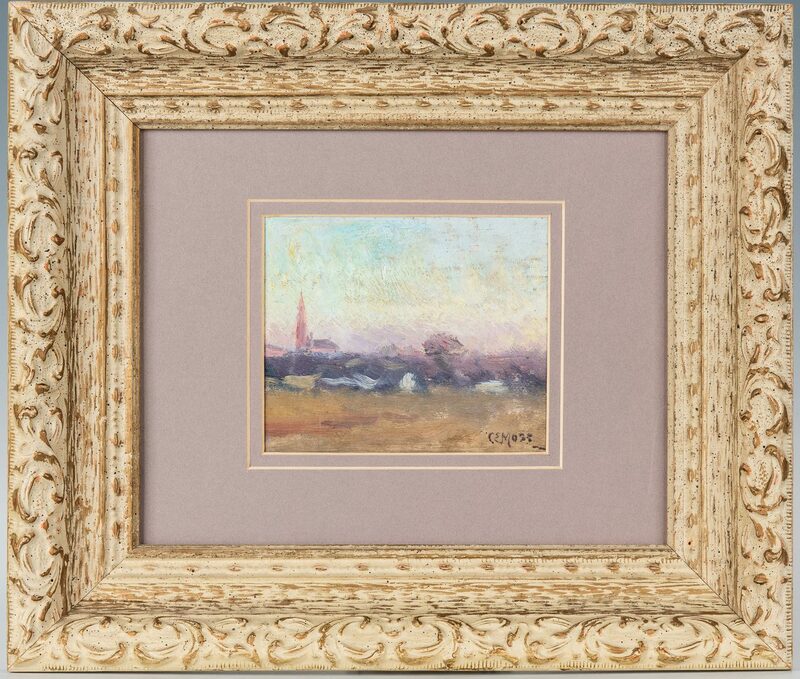 Sight – 4 3/8" H x 5 1/4" W. Framed – 11 3/4" H x 14" W. Late 19th/early 20th century. 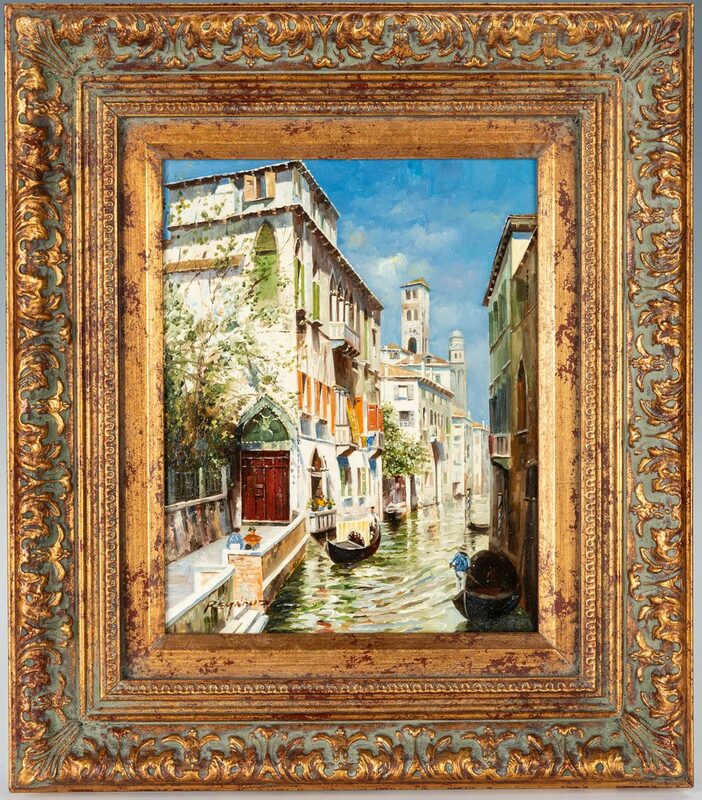 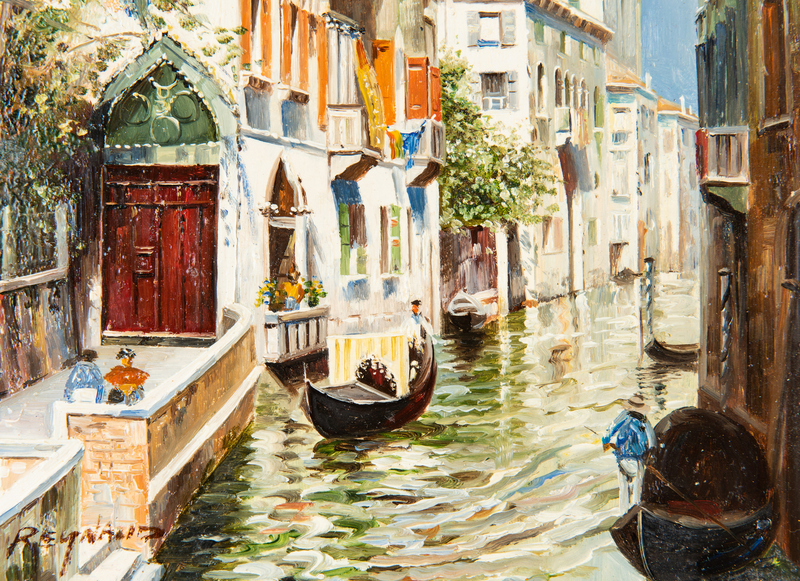 2nd item: Continental oil on panel cityscape scene depicting gondolas navigating a canal in Venice, Italy beneath a blue sky. 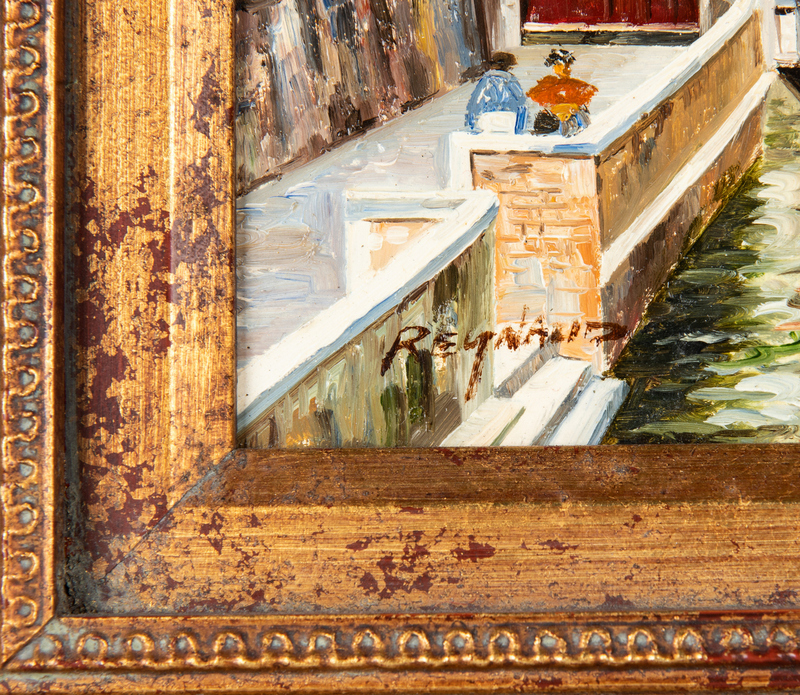 Signed "Reynaud" lower left. Housed in a decorative giltwood frame. Sight – 9 1/2" H x 7 1/2" W. Framed – 15 3/4" H x 13 3/4" W. Mid/late 20th century. 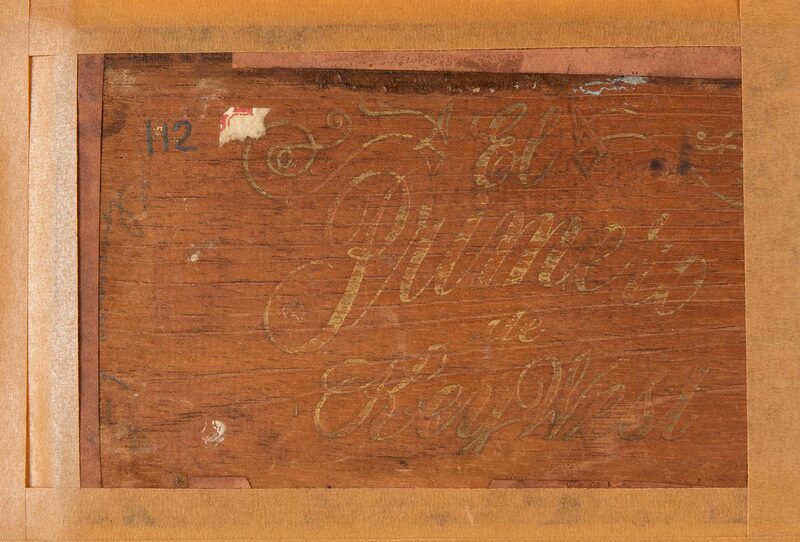 Provenance: Estate of Celia (Cece) Webb, Nashville, Tennessee. 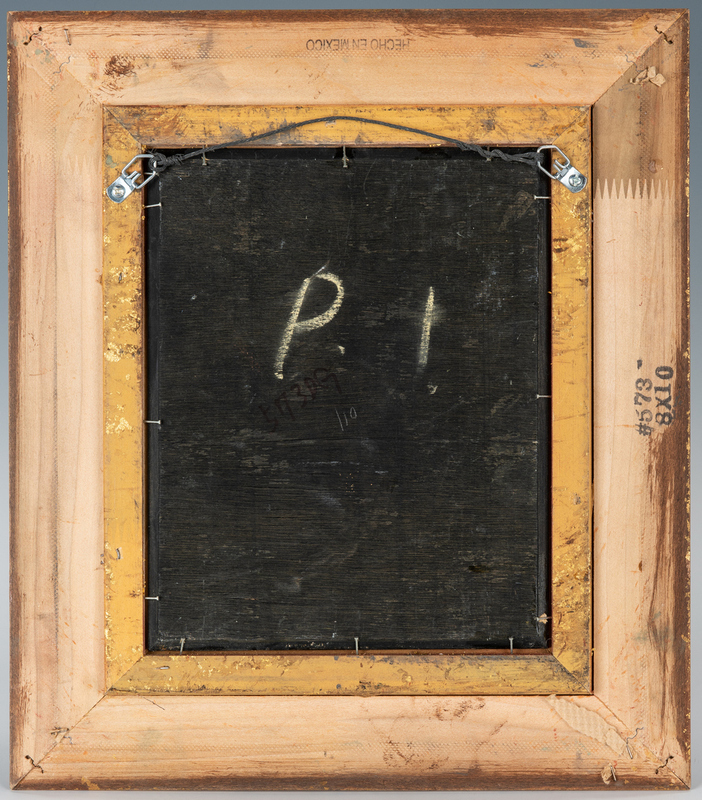 CONDITION: 1st item: Overall good condition with small natural flaws to panel. 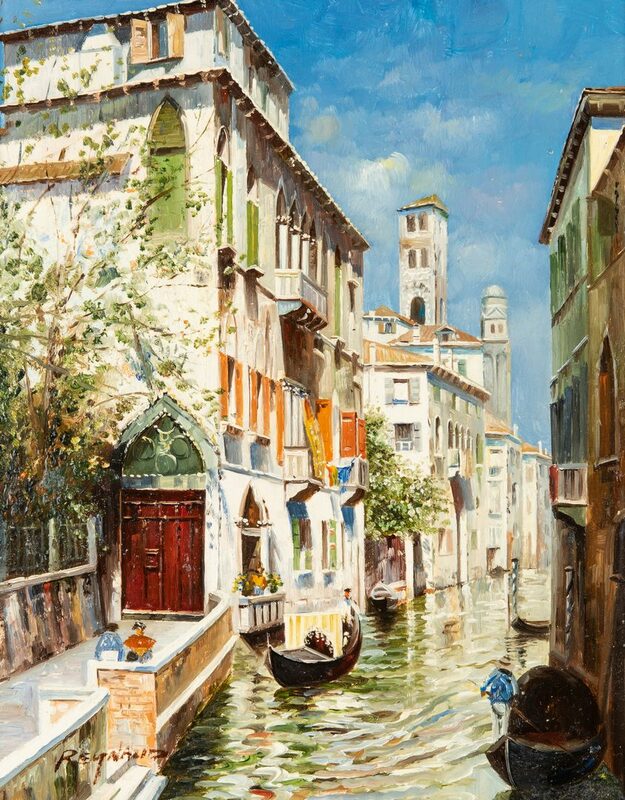 2nd item: Overall very good condition.